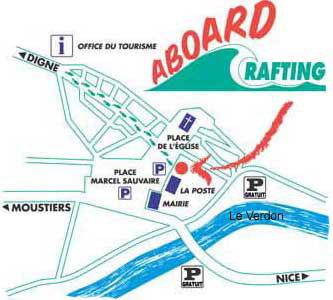 You will find below instructions to help you to reach Castellane, by differents means of transportation. 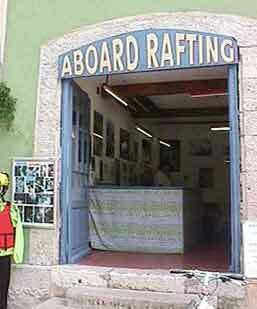 Beware: in some cases (canyoning, etc), we may meet you right on the locationof the activities, wich might be not Castellane itself. Check it in the details sheets of every trip . - From Avignon, Marseille (150 km): A 7, A 51 motorways, Les Mées exit N 85 "route Napoléon" to Digne-les-Bains and Castellane. - From Nice (100 km), Cannes: N 85 to Grasse and Castellane. - From Fréjus, St. Raphaël (90 km): A 8 motorway, N555 to Draguignan, then D 54 around Draguignan, D 955 to Comps S/Artuby, D 952 to Castellane. 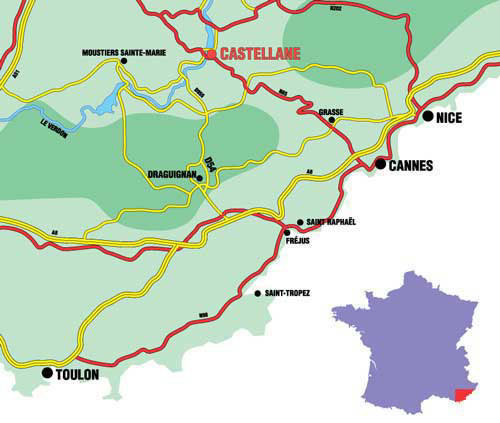 - From Lyon, Grenoble: A 48 motorway to Grenoble, N 85 to Digne-les-Bains and Castellane. Closest airport: Aéroport de Nice Côte-d'Azur. For more information about air transportation to nice, please visit the Nice airport web site. From Nice, you can carry on to Castellane by train (see below), by bus (see below) or by car. Car rental: various car rental companies are available at the airport. If you need private transoptation from Nice to Castellane, you can contact Sunny Days. Closest train stations: Digne-les-Bains, Draguignan-Les-Arcs (TGV station), Nice. From Nice: Train des Pignes from the Chemins de Fer de Provence train station; arrival at Saint-André-Les-Alpes. Then bus for Castellane (daily except Sundays and holidays) or, directly from Nice: VFD bus towards Geneva. For more information concerning transportation by train with the S.N.C.F, please visit the S.N.C.F. web site. For information concerning transportation by train with the Chemins de Fer de Provence company, please visit the Chemins de Fer de Provence web site.